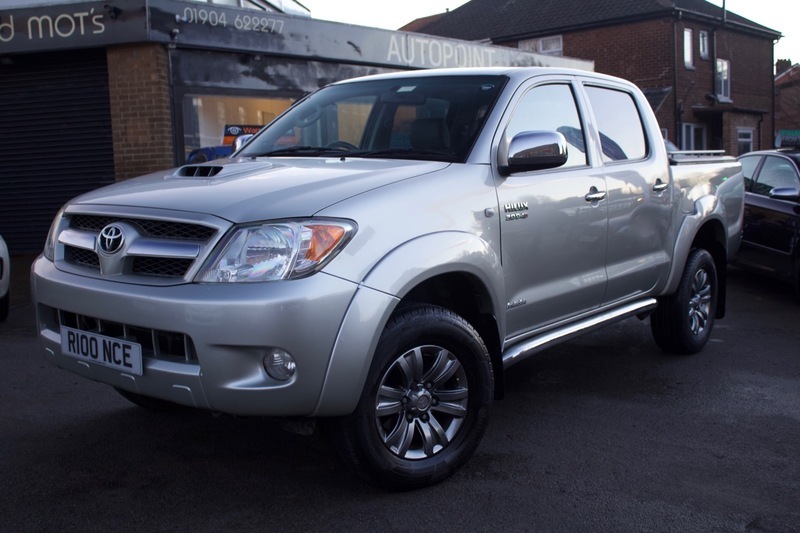 Here we have our Toyota Hilux Invincible D-4D DCP finished in full leather interior. No VAT on the vehicle. The truck comes with ABS, Air Conditioning, CD Player, Touch Screen Multimedia System, Central Locking, Cruise Control, Electric Windows, Cup Holders, Electric Mirrors, Four Wheel Drive System, HI LO Gearbox, Parking Sensors, Tow Bar, Privacy Glass, Sat Navigation System and an Upgraded Speaker System. The car also comes with MOT, 12 months Service, Warranty, Free AA Cover for a year and Pre Delivery Inspection Report.